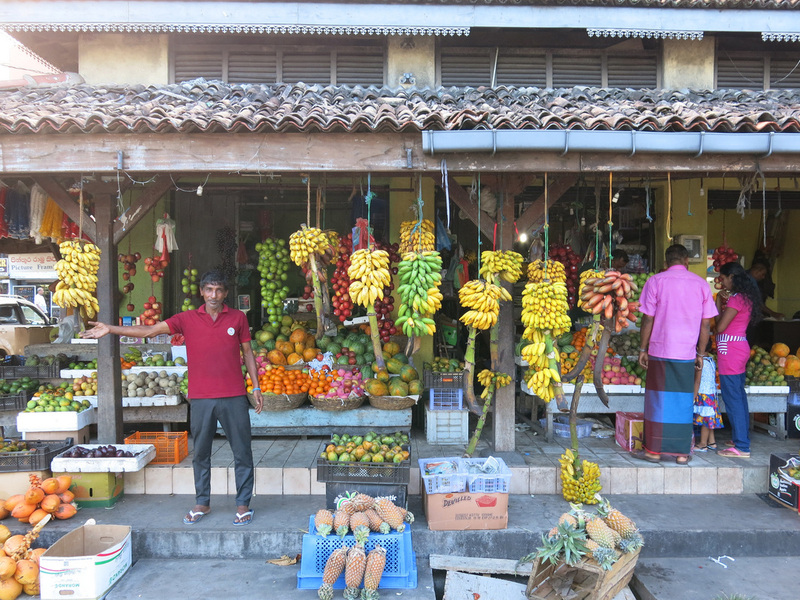 Be sure to take the express train, not the hour and a half longer local train, to Galle. Galle is sixty miles down the coast from Colombo yet the express train is still a two and a half hour ride. Fortunately the first forty five minutes of the train ride were a highlight of the day trip. The train tracks hug the coast line. At certain intervals there's barely a foot gap between the tracks and the rocky jetty below. 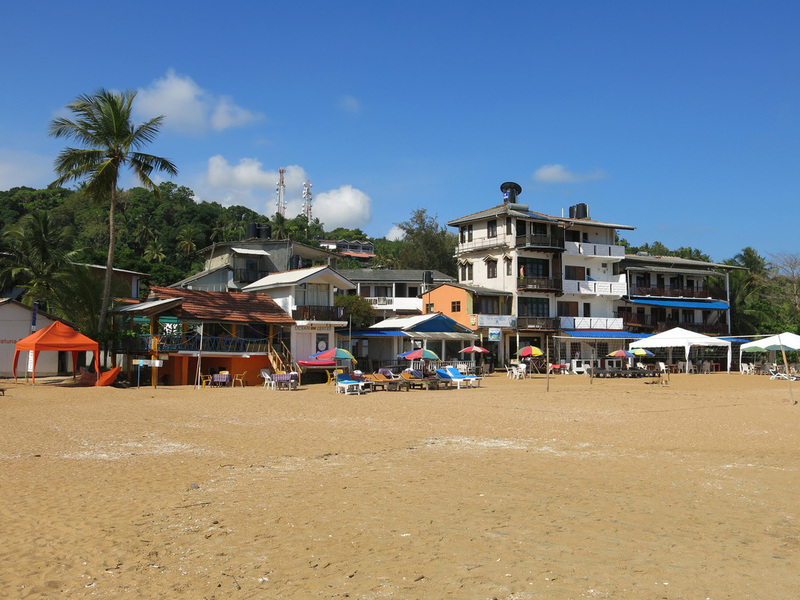 Soon shanty towns and squatter villages dot the beach. The train then winds into the jungle and I lost sight of the ocean until the train neared Galle. 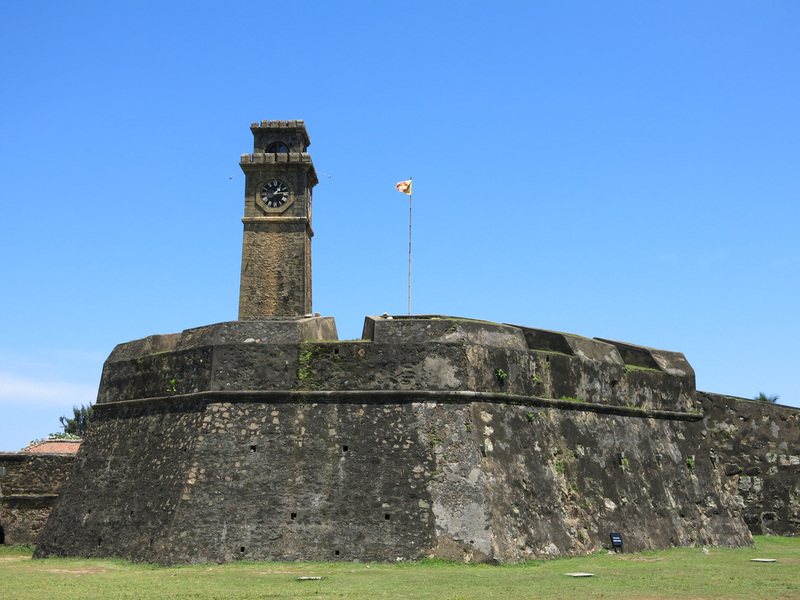 Across the street from the train station is Galle Fort. Not much remains of the fort besides the outer wall and a clock tower, however, the inner town, that the fort protected has retained its colonial charm. 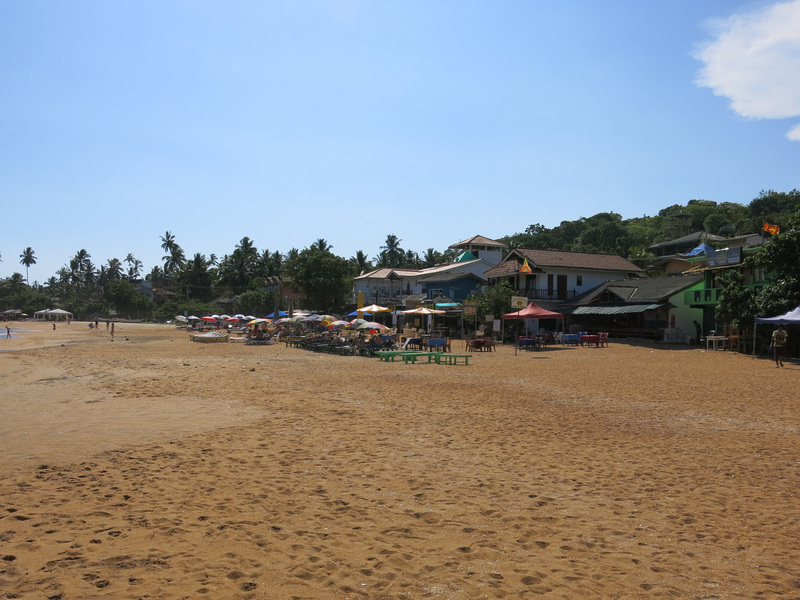 It feels like a posh, upscale tourist zone completely different than the Sri Lankan developing world environment. 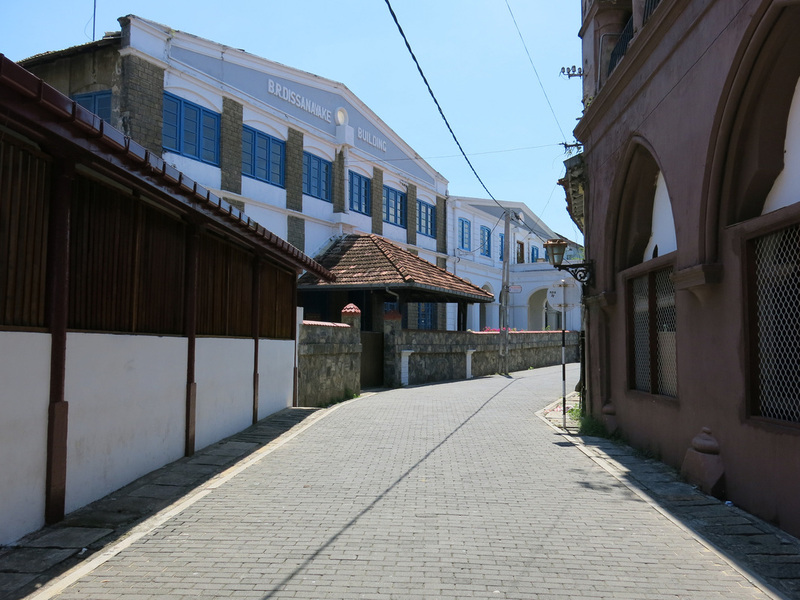 It's a welcoming setup and layout but I wonder what, if any, appeal Galle Fort has to Sri Lankans. Rather than eat here I took a local bus to Unatuwana Beach. From the bus drop off at kilometer road post “122” it's another half mile walk to reach the beach front hotels and restaurants. 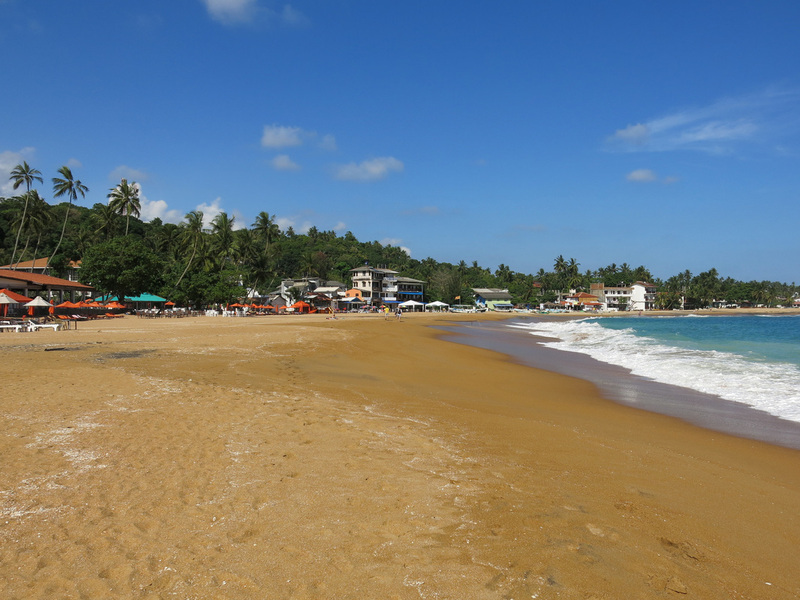 Unatuwana Beach is a wide horseshoe shape and much smaller than Trincomalee's Uppuveli and Nilaveli beaches. It's a more beautiful surrounding and a bit more developed. Gone too is the rustic feel. 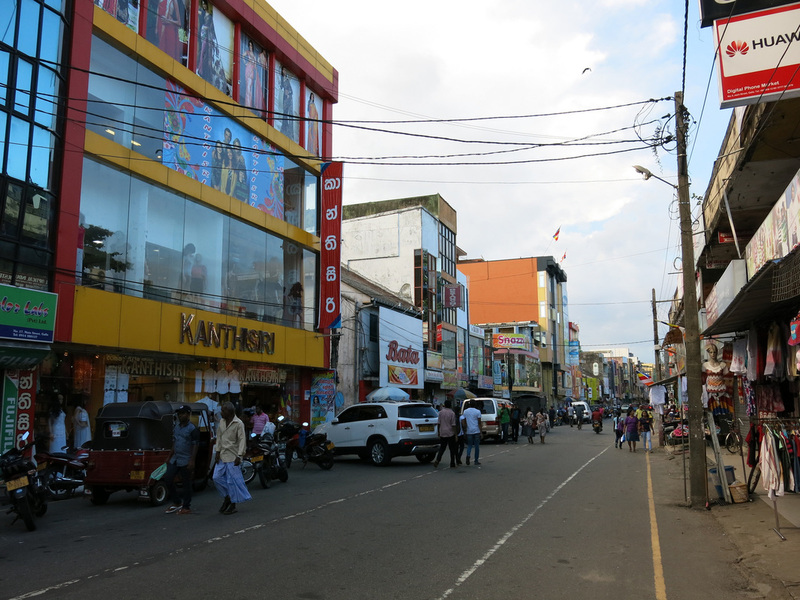 I spent the rest of the afternoon walking around the non-tourist section of Galle which had a lot more action than Trincomalee. There was a lively fruit market and street stalls were selling flags and Buddhist ceremony items. After a circle through the main district I caught a minivan ride back to Colombo. 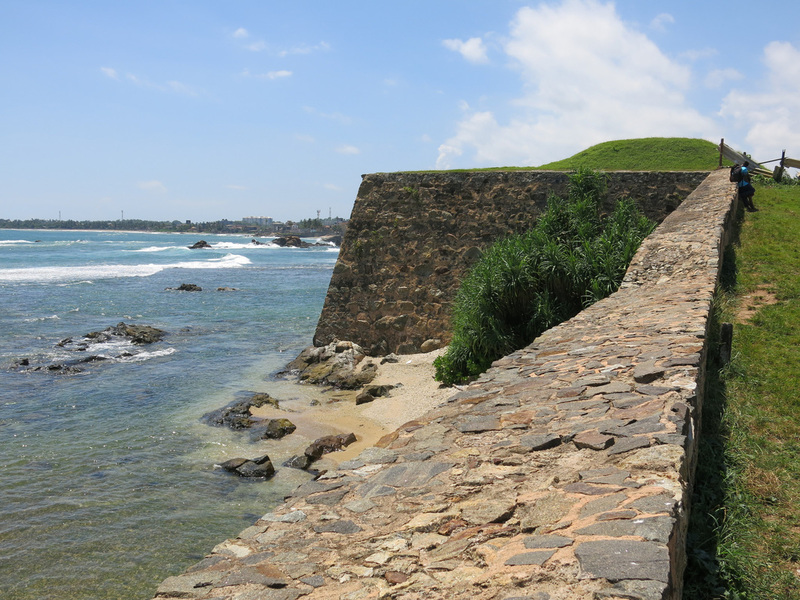 For additional Galle photos see FLICKR ALBUM.